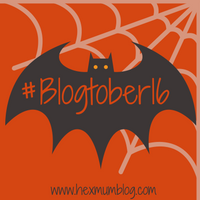 #Blogtober16 Day 1: Who are you? 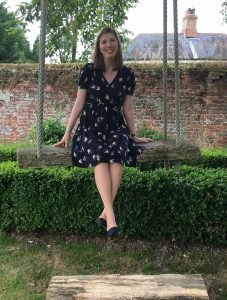 I’m Jules, I’m in my early thirties (I can still just about say that!) and I live in Norwich with my lovely hubby and four month old daughter, Little M.
Up until having Little M I worked as a primary school teacher. It all got a bit stressful so a year ago I took the decision to leave my full time job as a senior teacher and started supply teaching. It turned out to be the best decision I have ever made as, after discovering I was pregnant at the end of September 2015, it allowed me to manage my hours throughout my pregnancy to suit me. It’s been a bit of a change financially, but money isn’t everything! It’s been a big change of lifestyle as I was really into teaching, especially the academic side. I don’t think a year went by when I wasn’t either studying for my MA, or doing a bit of action research. Not surprising that I found it all a bit too much, really! My other interests are reading and travelling (as well as blogging, obviously!) but both of those have taken something of a back seat since Little M came along! Oh, I also long to have a dog as I think a dog completes a family, but hubby’s having none of it at the moment and to be honest I don’t think I could cope with a dog as well as a baby, so I’m happy to wait for a couple of years before introducing a four legged friend to the mix! I don’t really know what else to say about myself, really!! If you want to know anything, then pop me a question in the comments. Hi there. It’s nice to meet you and learn more about you. Yes, not sure I could juggle a dog and a newborn! I think we’ll wait a few years. It’s tough, isn’t it? But they are only little for such a short time so I suppose we should prioritise and enjoy them! Plenty of time for hobbies later in life! Hi and welcome to #Blogtober16, another Norfolk blogger, we are slowly becoming a little tribe! All of my children keep pestering for a dog, but I am standing firm at the moment, although the teen also wants a goat and i’m kind of swaying towards that! I look forward to reading all of your posts and treasure every minute, because before you know it they are 18 and considering leaving for university! There seem to be loads of bloggers who are also teachers 🙂 Nice to get to know you a bit better! Great post, lovely to meet you! Can’t wait to read more of your Blogtober posts! Yep – probably a bit too much of a handful! Lovely to meet you! I love dogs and but like you it not the right time!